One Point. One Request. AACHS Lawyers, the CHS Mock Trial Team needs your help. One point. 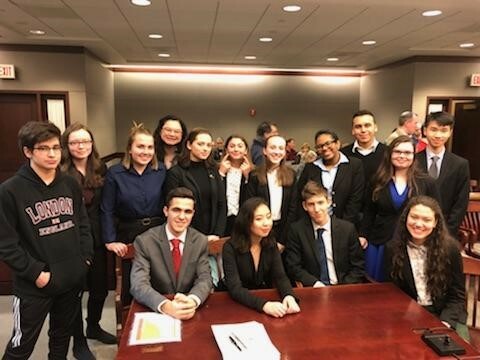 That was the margin by which Roman Catholic High School defeated Central High School to win last year’s citywide high school mock trial championship. Lina Bader, Central’s faculty mock trial sponsor, is determined to see a different result this year. In order to accomplish this, the Central High School Mock Trial team is seeking alumni who are seasoned trial attorneys. Ms. Bader genuinely believes that in order for the students to be more skilled trial advocates than those who compete for other high schools, it requires a group of attorney alumni who volunteer to coach and to assist the team. With the additional help, and all of the CHS team’s top performers from last year will return for their senior year (Class 278), offering Central a very realistic opportunity to bring home the championship. Ms. Bader, excels as a biology teacher at Central High School, and does her best to lead the Mock Trial team as its faculty sponsor. But, she is not a lawyer. She feels that if the team receives help from some alumni lawyers, Central could easily take over the top spot. The students need assistance with objections, cross-examination, witness preparation, and even such rudimentary matters as where to stand in the courtroom. Likely, the vast majority of us feel tremendous appreciation for the high school experience we had at Central. If you are a lawyer with trial skills, and a little bit of time to spare, this is a great opportunity to give back. You will see how beneficial volunteers’ time could be in the lives of Central students. Please contact Ms. Bader at Lbader@philasd.org. She will coordinate your efforts to assist the Central Mock Trial Team. This experience will be a great one for you and it will provide the students first-hand experience that will help those who want to continue in the legal field.